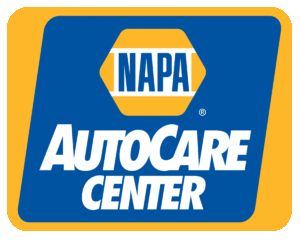 Phases Truck and Auto Repair is a certified Napa Autocare Center repair facility. That’s a very big deal and here’s why. One reason many people like to take their vehicles to a big box nationwide repair facility is so the work can be warrantied in many other states. Some would think this puts local shops at a disadvantage. But at Phases, as a NAPA Autocare Center, you get one of the best NATIONWIDE REPAIR WARRANTIES available anywhere. Phases in partnership with NAPA Auto parts, the biggest supplier of parts in the country, makes sure the nationwide warranty you get when you repair your vehicles at Phases, is second to none. So when you do your repair work at Phases Truck, and Auto Repair, you not only get better service by local mechanics who take pride of ownership in every job they do, but you also get a nationwide warranty on all the work, so no matter where you move to…you are covered! A Napa Warranty is Included FREE with any qualifying repair or service work done at Phases. Napa warranties cover parts and labor on qualifying repairs and services for 24 months/24,000 miles. Phases extends your NAPA warranty to 36 months/36,000 miles when you do your repairs and service with us! Napa Autocare Peace of Mind Warranties are honored nationwide by thousands of NAPA AutoCare Centers, so you’re protected even when you travel or move to another city. At Phases Truck & Auto Repair we are committed to our Colorado Springs community not just by offering quality auto care, but also giving back to those who have served our country. We offer a 10% military discount to those with valid military ID. If you are active or retired military looking for auto repair or a shop that will honor your Napa nationwide warranty, this is the place for you.